Born in New York City, Antoinette has traveled extensively, from Canada to Mexico, and throughout the United States, to the Caribbean, and to Jamaica, where she spent time with some of the tigers, panthers and leopards she has painted. Antoinette has always had a love of the earth and animals of all kinds. When only six years old, she followed a horse and a carnival out of town and had to ask someone to help her get back home! Since that grand adventure, Antoinette has made many, many trips to zoos, wildlife centers and national parks, always using mental photography when there was no camera available. She is self-taught and draws on that memory of pictures from which to paint, as well as still visiting zoos and wildlife refuges, such as Fossil Rim, a wildlife center about two hours from her residence, in order to obtain accurate reference material for her work. 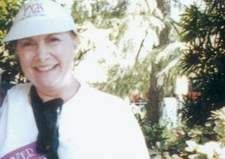 Antoinette has relocated from Pennsylvania to the Sunny Southwest, and now resides in Texas where she and her granddaughter, Michelle, who lives with her, write and illustrate books and paint animals to their heart's content. Michelle shares Antoinette's love of animals, and especially loves wolves and dogs. For the last three years they have resided in a waterfront home in Denton, Texas. Antoinette's work has been purchased locally, nationally and internationally.